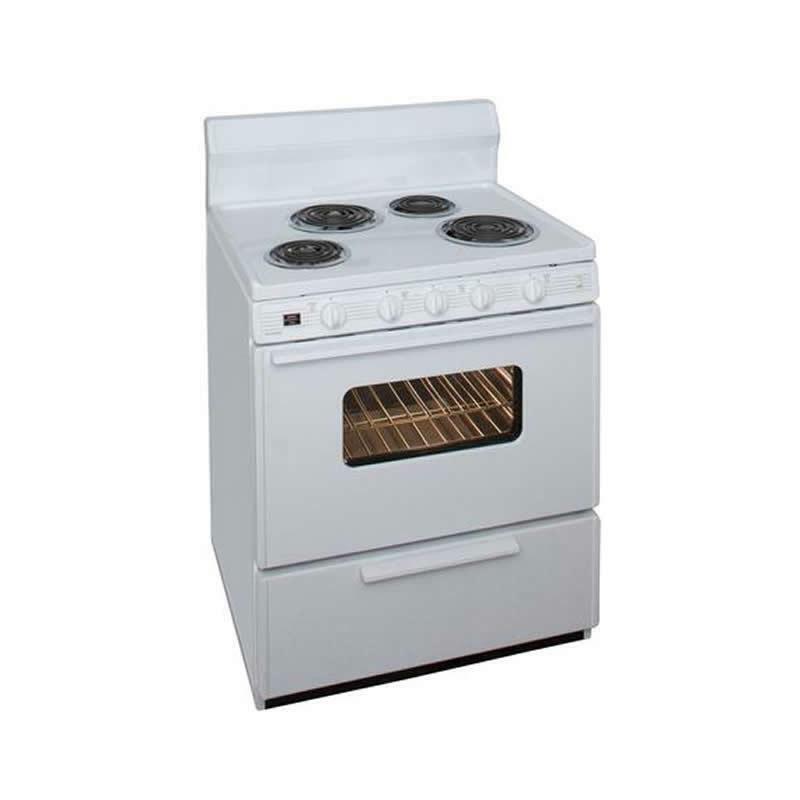 Premier 3.9 cu.ft 30 inches electric range with 8 1/2 inches porcelain backguard. Waste high variable broiler and convenient storage drawer section. Bakeview oven door with interior oven light. Additional Information Front controls prevent the need of reaching over hot burner elements; Lift up top with support rod..easier cleaning. Burner/Element Size 2 x 8 inches; 2 x 6 inches. Warranty 1 Year. Lifetime on burner elements.